Looking to buy a franchise? It’s important to know the ins and outs of any business, especially when it comes to franchising and familiarizing yourself with the roles and responsibilities of a franchisor and franchisee. The franchisor and franchisee relationship is a vital component to the franchise business structure. As a result, a well-balanced franchisor and franchisee relationship is the key to success for any franchise business. A good franchise business structure always has a well-established business model. However, it is necessary for both franchisor and franchisee to follow the rules and responsibilities that each role requires. Unsure of what these entail? We have a handy list outlined below. The franchisor is responsible for providing adequate training on a continual basis to franchisees. Franchisors are also responsible for providing ongoing support, whether it’s by listening and responding to queries, or providing the necessary tools and resources. The franchisor also plays a troubleshooting role for any problems that may arise, such as technical difficulties with a product. One of the many benefits of buying a franchise is that the franchisor shoulders the responsibility of innovating and staying ahead of the competition. This includes new and updated products, and monitoring competitors and industry trends. A well-established franchise business structure plays an integral role in helping both the franchisor and franchisee. Effective and standardized operating procedures are necessary in providing guidance and unity across all the franchise businesses. This is why it’s important for the franchisor to implement a system that can easily be adopted by new franchise partners. One of the other benefits of buying a franchise is that the business will already have a reputable brand or trademark. The franchisor is responsible for maintaining overall brand reputation, awareness, and development. This eliminates one of the key steps in setting up a new business. Buying into a franchise has its advantages, one of which is having an effective business model set up. This not only removes the guesswork for day-to-day operations, but is the necessary foundation for the franchisor and franchisee to succeed together! While the franchisor provides overall support and resources to help franchise partners succeed, franchisees are still responsible for managing their business and ensuring its growth. Taking ownership of a franchise business is the sole responsibility of the franchise partner. However, don’t forget about the overarching business model and follow the guidelines outlined by the franchisor. While the franchisor is responsible for brand reputation management, franchisees are responsible for marketing their businesses in their assigned market areas. Franchise partners also play a role in protecting and fostering the brand’s image. This usually means complying with HQ’s policies, and seeking approval when rolling out any marketing campaigns of their own. This builds stronger brand unity which helps the franchisee and the business as a whole. Keep in mind that it’s a collective effort— the HQ’s marketing team is there to make the franchisee's job easier! Remember, a successful franchisor and franchisee relationship is one that’s well-balanced through effective and efficient communication. Overall, the franchisor provides guidance and support to franchisees, while taking on the nuances of business development and brand awareness. As a franchisee, you still have the leeway to put your entrepreneurial skills to use by focusing on growing your own business— just don’t forget about the franchisor’s business model! Considering being your own boss? Buying a franchise is a great way to take ownership of a business without the stress of going it alone. One of the biggest benefits of buying a franchise is the support that comes along with it. Wondering what will be a good fit? Here’s how to find the best franchise for you. 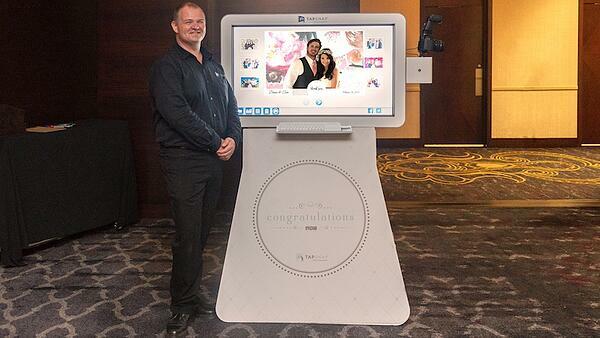 TapSnap isn’t only an event entertainment company. We are also a successful international franchise organization. One of the benefits of franchising with TapSnap is our emphasis on winning together! Interested in joining the TapSnap family?